Readable, practical and accessible commentary on the book of Genesis. 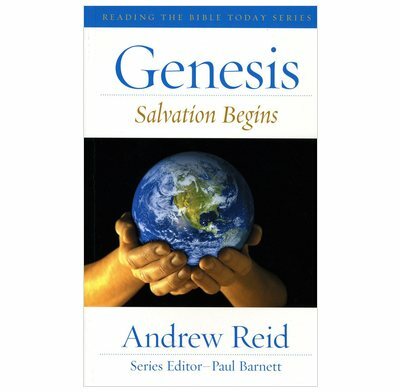 Andrew Reid is the author of several books and Bible studies including Kingdoms In Conflict, a commentary on Daniel in the Reading the Bible Today series. In Salvation Begins he gives readers a framework for appreciating the old testament as Christian Scripture. Andrew Reid has ministered in a number of different contexts, including National Director of the Australian Fellowship of Evangelical Students, Chaplain at Maquarie University in Sydney and Rector of St Matthew's Anglican Church, Shenton Park in Western Australia. It was at Shenton Park that Andrew began developing the material for Salvation Begins. He now lectures at Ridley College Melbourne in Old Testament studies. A very helpful commentary on Genesis.